There is something about indie idol groups that is inspiring and joyful in my eyes. Though I can't support them all - sometimes there is never enough information, or I simply do not know they exist - I have felt that the drive and hope indie idols bring is dazzling, especially when they can shine on a stage in front of even the smallest number of fans. They're infectious and spirited, and despite how little people know of them, these idols persevere to fulfil their own dream, as well as to create hope and happiness for their fans and listeners. But indie idols are not just born in Japan, and for one of the few brief moments in my blog's history, I would like to take a moment to introduce and appreciate a group that has been born outside of Japan, crafted from the dream of becoming the idols they have watched on stage for so long. With the rise of Idols both online and off, it shouldn't come as a surprise to see a few indie brand idol groups popping up every now and again. 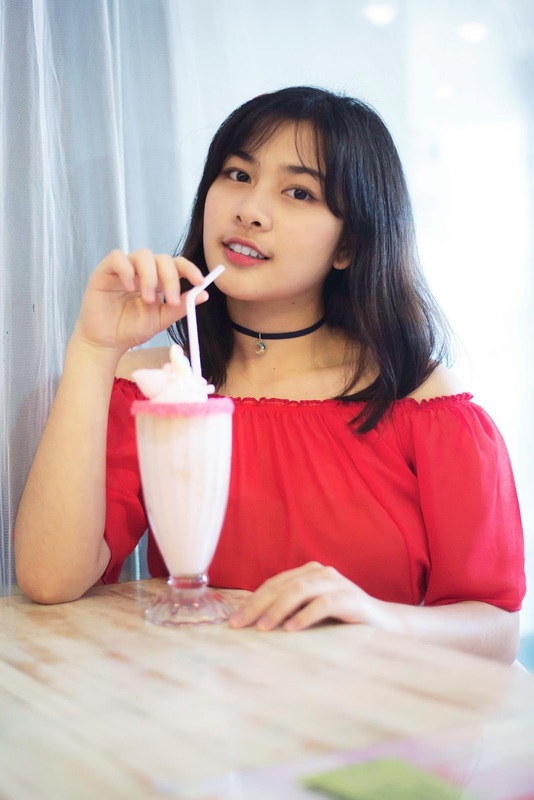 It may be even less surprising to know that these groups rarely gain recognition outside of their own fanbase, yet with the recent auditions for MNL48 - the latest overseas escapade for the AKS corporation, which will be based in the Philippine's - there is one indie idol group who have risen from the background and greeted us with renewed hope, and maybe a little bit of glee as they ascend into the world of music, performance and joy. 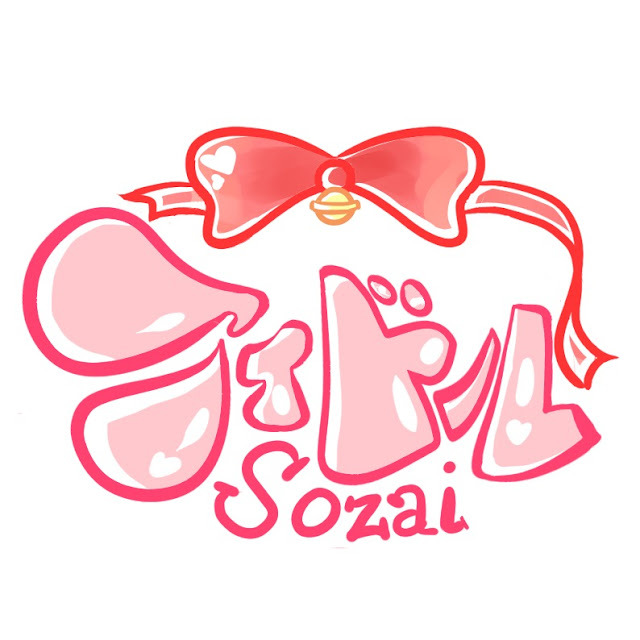 Aidoru Sozai - LoveSo for short - is the delightful yet surprising new indie idol group based in the Philippine's to watch out for. Announced in January this year, the group finally announced the full seven member lineup back in March, before finally announcing their live performance debut at Ozine Fest 2018 on April 28th. 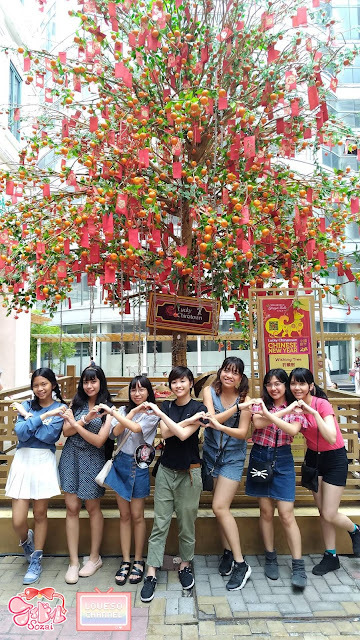 And despite being so fresh to the idol scene, the group is already causing a stir online and off, especially when you consider that LoveSo is made up of former MNL48 hopefuls. Despite this however, the girls of LoveSo have created something that is not only inspirational and dream-like, but a group that is polished and higher in standard than what even the most seasoned indie idol groups can offer. With a hoard of information readily available on Facebook, Stage48 and even a wikia page dedicated to these girls, there is no doubt why people like the idea of LoveSo, or why they want to support them. Not only are they refreshing, but the members themselves seem too idol-like to be true, and the effort they are putting into not only their image, but their logo's, profiles, performances and videos, allows us to realise just how serious they are about becoming real idols in the Philippine's. Already these girls embody the characteristics of the idols we adore from afar: they are cute, hard-working, and they have a goal that they want to reach. Whether they can sing or dance right now is not really a factor, in my eyes - as long as each girl strives to create a dream for their fans or hopes to stand on stage in order to inspire others, then they are embodying the image of an idol properly, and despite only having one performance under their belt thus far, LoveSo are already showing us that they are more than prepared to take on that idol persona and stand on the stage for all to see. Whether they are based in Japan or outside of it, I find it inspiring that the members of LoveSo have made their dream come true and created new goals for the group we see now. Regardless of the setbacks they may have faced up until this point, they have been warmly welcomed into the idol community and will continue to grow with the adoration of their fans and supporters, no matter how far apart everyone may be. And as one of the few seas-apart fans, I would like to continue my support for the group and promote them with all my might. And with that in mind, I would like to take the time to introduce you all to the new indie idol group, LoveSo! Even if they aren't idols from the country of the rising sun, they are still idols born with the desire to create happiness, music and dreams. So, without further ado, let's take a look at who makes up this cute and joyful unit and what each member has to offer us. 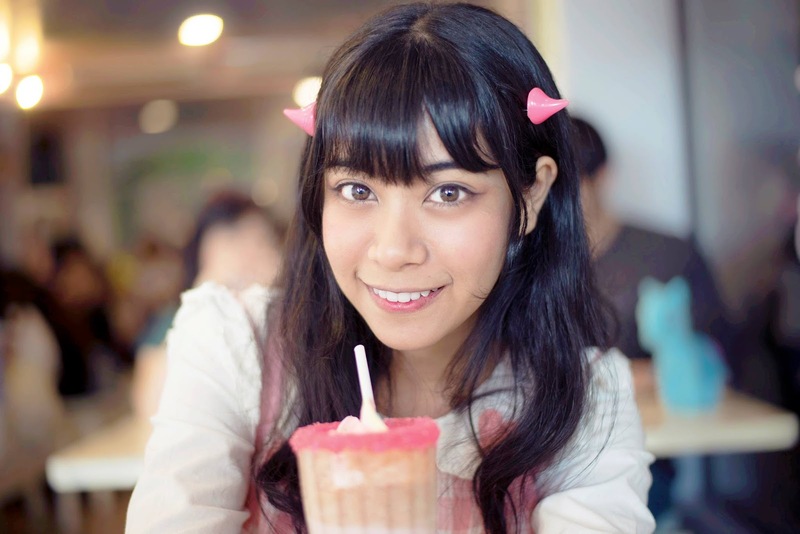 Known as LoveSo's bubble of energy, Yanachii was the first member to be revealed to the public, and was met with much anticipation and delight. Describing herself as confident, loud and energetic, Yanachii is already a bright and charming member who has captured the fans and earned herself a solid fanbase. Performance wise, she is a force to be reckoned with, captivating those who watch her and entertaining all with her smile and energetic approach. Yanachii became an idol in order to spread love, hope and dreams, and also: because she knows she can be one. Currently, Yanachii stands as the tallest member within LoveSo. From the onset, I feel like Yanachii is a 'cute' member, but after delving into trivia a little more, she actually comes across as a cool and mature person who has a humorous side to her. In so many ways, I feel fascinated by Yanachii, and I love that she has so many sides to her: cute, cool, mature and maybe even a little mysterious. As a performer, she truly captivates you and shines on stage, but as someone you are talking to, she probably seems like a really cool, energetic person. ... And after watching videos of Yanachii, I need to rethink this 'cool' persona, because she also seems like a truly funny, weird and cute person. I love that aspect of her, because it's entertaining, and it shows that she is willing to show all sides of herself to entertain those around her. I still think there is an element of 'cool' in Yanachii's persona, but she is definitely a lot more hilarious, cute and silly than I had anticipated. I think that's amazing, and that Yanachii is impressive to show so many sides of herself. I anticipate understanding the mysterious Yanachii a little bit more, because she is an intriguing person, much like the rest of LoveSo. Already I understand why this girl became an idol - she was born to be one - and I can see why fans of LoveSo are drawn to her. She's more than a cute face, and Yanachii has something about her that is striking and and delightful. I only hope that we learn even more about her as the group grows and creates new goals, because I would love to figure out just how amazing Yanachii truly is. She has potential, and she has the aura of an idol. I truly look forward to her growth. Date of Birth: July ?? Fun Fact: Used to uniornically do things such as pretend she had super powers and run like Naruto. Coined as the groups big, Otaku sister of LoveSo, Mika is the second member to be revealed, and is currently studying game development beside her activities as an idol. She considers herself to be a clever, melancholic and headstrong girl, and with her serious look and interests, it seems like Mika has captured the interest of her fans almost instantly. She is the Leader figure within the group. Mika became an idol because she always loved the arts. She never anticipated becoming a musician, but an idol, and saw a difference between the two. Miki's desire to become an idol is not for the stage, but to convey energy and emotions, and to allow us to realise that you do not need to be perfect from the onset, but to try and improve yourself with the knowledge that you are imperfect. Beforehand, I thought that Mika looked like a serious and sweet girl, but now I feel like there's so much more there. There is no denying that she still feels mature, but there is also something inspiring there - the way she phrases things and how she creates imagery in what she writes shows just how expressive she is. It feels like she is truly a creative person, with a creative mind that is home to beautiful ideas. Of course, the more I learn about her, the more I love her. I began these introductions with basic knowledge of the group, yet the further I delve, the more I realise just how much I admire and like Mika. At first it was for her mind and interests, but now I realise just how cool she is as a member, and how hard-working and professional she feels. She feels like someone who is not only hard working and serious, but creative and carefree as well. In interviews, Mika is polished and capable, but outside of that she shows this fun, cute side of herself that is so idol-like and adorable I can't help but be intrigued. She is someone I can see myself adoring the more I learn about her, and already delving into the world of LoveSo has proven that the more I glean, the more I realise just how incredible Mika is as a member. Mika is someone who seems pretty open about the group, and is a person I feel wants the best for the LoveSo and to provide us with the necessary information so that we can love LoveSo more than before, but she also wants to show us how serious she is about becoming an idol and the group she is a part of. I love her nature, I love how she perceives idols and I love how she understands the meaning of idol and what she must do in order to become an idol figure similar to those that she has loved for so long. I feel that I will support Mika strongly, and that from afar I will cheer her on towards her dream. I didn't anticipate it, but somehow, Mika charmed me with her cool look, serious manner and cute nature. Coining herself as sensitive, diffident (shy) and a dreamer, Jash became an idol from her love for being on stage since she was a little girl. 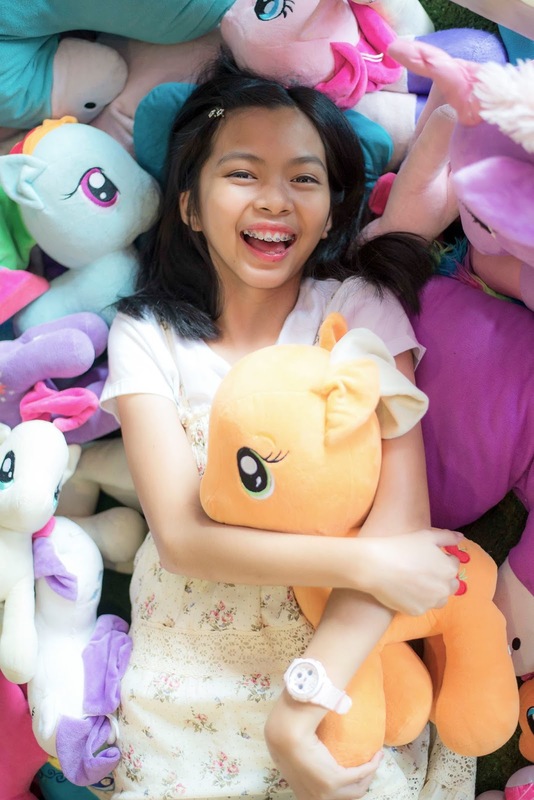 Growing up with Japanese music inspired Jash to follow this dream of becoming an idol, and regardless of who looked down on her for following this path, Jash wants to become an idol to inspire those who discouraged her and to show that dreams are for everyone. With a demure look and a mature vibe, Jash seems like a member who does what she can to fulfil her own goals, whilst also thinking of those around her and how those goals can benefit them. She shines brightly on stage, showcasing her joy in performing whilst also allowing us to see that there is professionalism and a polished aspect to her way of performance. You can see she has a history in performing in front of others, and it's her confidence that truly shines, I believe. With her background especially, I can see Jash leading LoveSo in a caring manner, overlooking the other members as they improve whilst she herself becomes a better performer. At first, I found Jash to be quite mysterious, but after watching videos that showcase her personality a little more, you can see that she's actually quite a funny, confident individual who, when comfortable around others, showcases just how laid-back and charming she truly is. Though I still believe she is one of the most mature members of the group, a leader type figure within LoveSo, I am glad that Jash is open to showing off her true colours and allowing us to understand this cute side of her when she is comfortable and open. It seems that the more I watch, the more I fall in love with Jash as a performer. She is meant for the stage, she is an idol by nature, and her aura is undeniable at this point. I do want to know more about her, too, and I love the confidence she exudes in becoming an idol, but I definitely feel like she was the member I was the most wrong about during my introduction to her. I initially thought of her as reserved and serious, but in actuality, she is cute, funny, charming and relaxed. I love this laid back nature she has, and already I feel my intrigue in her piquing as an onlooker. I want to watch her improve as an idol, and to see her show off that personality I have watched in videos. Jash is a member I truly look forward to watching grow into the idol that she has always aspired to be. Other Favourite Idols: Niji no Conquistador, Wasuta, AKB48 Team 8, Luce Twinkle Wink, Dempagumi.inc, fuwafuwa, Puci Passpo, Idol Street groups, Stardust groups, Beboga!, Tsuribit, S/mileage, Country Girls, Juice=Juice, Maneki Kecak, AKSB Project, Rev. from DVL, Earth Star Dream, Amaki Sally, Ogura Yui... etc. Fun Fact: Would like to sing opening and ending themes, and to become the heroine on a mahou shoujo anime show. She is talented in voice acting. The fourth member to be revealed, Saachan is LoveSo's always late magical girl who stays awake until the early hours researching, watching and listening to idol content. Despite her lack of sleep, however, Saachan is ready to make you love her, and will even intrigue you enough to make her your potential Oshi for LoveSo. With confidence under her belt, Saachan's desire to be an idol is indescribable, to a point where she feels that upon seeing her on stage, you will understand just why she wants to become a part of this dream world. With such a passion for rivals and an undying spirit, it feels fitting that such a girl has joined LoveSo - and yes, you can see just why she wants to be an idol the moment she steps onto the stage. With such a strong biography, I can really feel just how excitable and sweet Saachan is. Her confidence is certainly unrivalled at this point - from her photograph she seems to know what she wants and who she is - and I love that she is very open about her obsession with Idols, to a point where she will stay awake all night researching and listening to music. I admire that, mostly because I am the same way, but I also admire that Saachan has followed her dream to becoming an idol and made it her reality. I feel like Saachan is someone who will definitely make you love her from the get-go. She has an idol-like aura, she's cute, and there is that confidence and persistence in her that is admirable. Though I feel she might seem a bit two dimensional at the minute, I like what I know about her thus far, and find the energy she undeniably provides in her bio infectious and fun. She's adorable, and she definitely has the idol look down pat, but I feel like she's the sort of person I would really get on with in real life, so I would love to know more about her in the long run and further my interest in her as an idol. There is little that Saachan will hide I believe, so I look forward to seeing all the fun and mishap she may cause in the future. She's going to be a member to watch out for, and she will probably turn out to be the funniest member around. Who knows? Fun Fact: The longest time she has walked her dog (named Sunshine), was 64 minutes and 23 seconds. The youngest member - and the fifth to be revealed - Vivi stands as a scholarly member with an outstanding performance in school, and is also the genius behind LoveSo's logo, cover photo and teaser art. Being the illustrator idol, Vivi is an optimistic, intelligent and responsible young girl with a cute smile to further her sunny and ambitious personality. With a dream to perform the same way her beloved idols do, Vivi came into the idol world wishing to see how the world of idols looks from their perspective, to experience the same things that idols do, and to have those experiences that will make her feel as alive as the idols she sees on stage. Now that her dreams and goals are set in stone, it seems like Vivi is a really determined, serious candidate in the idol world, and despite her age, there is a maturity about her that is undeniable and admirable in so many ways. With her serious attitude and impeccable attitude towards not only her studies but now idol life, it seems like Vivi is going to be one hard worker within LoveSo, and will only bring greatness and sunshine to the group that she is now a part of. I was originally drawn in by how cute and youthful Vivi looks, but reading into who she is only makes me see just how much more there is to her. Not only does she seem like a happy, fulfilled girl, but she's also serious, hard working and determined in both her love for being an idol, and also in her life as a school girl. She is really inspiring - I don't think I was ever that determined at her age - and it's this determination that makes me even more determined to like her! Her hard work in producing the original cover photo and logo for the group is also really incredible, and for such a young girl, there is a lot of skill in what she creates. She is truly gifted, showing us how professional and polished her work is despite her youth. Vivi has allowed LoveSo to feel so much more than an indie idol group thanks to her efforts. She's a talented young girl, and I actively look forward to her designs becoming even better in the future! In terms of her personality, I actually feel like Vivi is someone I would get along well with, too. Her interests in creating reviews and watching documentaries fall in line with my own interests, and given how bubbly and sweet she looks, it feels like I would enjoy her energy and cuteness in-person. In-short: Vivi is really adorable, and I feel like she's another member who will grow on me. I want to see her on stage, to watch her shine as a centre and to see that smile brighten someone's day. She's someone who has youth and energy on her side, but the seriousness of Vivi is really endearing, too. I look forward to her growth as an idol, and to see how much she shines within this group. Fun Fact: She has been a fan of J-pop and J-dramas ever since she was eight years old. The smallest member of the group, and the sixth reveal for LoveSo, Aira will sparkle her way onto the stage and captivate you with her performance and energy. One of the youngest members, Aira was introduced to J-pop through the song Peach by Otsuka Ai, and it seems the young idol hasn't looked back since. 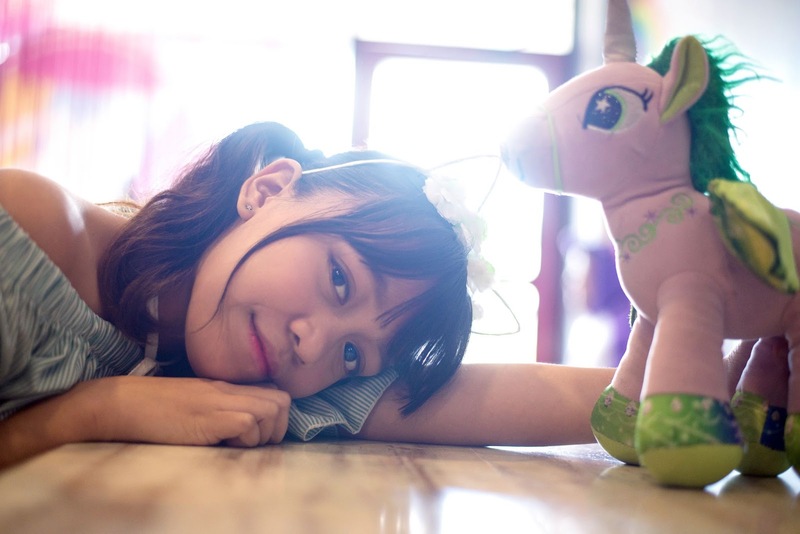 Describing herself as very, very small, Aira became an idol in order to inspire people to do their very best, just like her favourite idols do. With her words and her performance, Aira aims to inspire people as a member of LoveSo. On stage, despite her stature, there is a sparkling aura coming from Aira that is unbeatable. As one of the youngest members, Aira's innocence is a part of her undeniable charm, but the aura she creates is one that feels inspiring and beautiful. 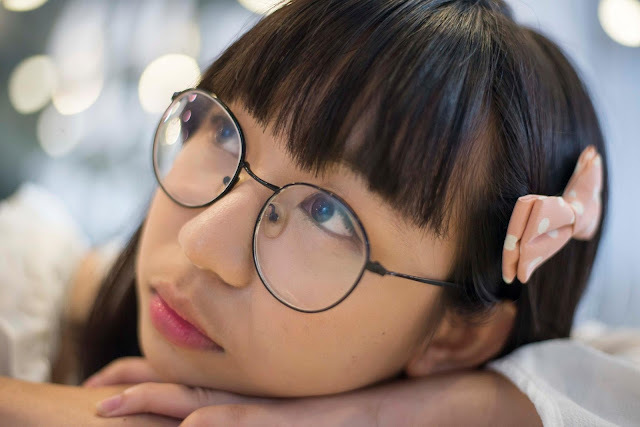 She is an idol to watch out for on stage, someone who rivals the dazzling skills of both Yanachii and Saachan, so be prepared to adore Aira, because she will certainly intrigue you. I did not know what to expect from Aira, but I never thought that she would be as dazzling as she is. When I watched the first live performance of LoveSo, I was naturally drawn to the charisma of Yanachii and Saachan, but very quickly I became captivated by Aira. I really understand why her biography began with 'she may be small but can sparkle her way on stage'. It's a really fitting description for Aira, because she does sparkle, and after seeing the groups performance, I was really drawn to her as a performer. Aira is undeniably incredible as an idol, and off stage she might not seem like the type to draw your attention, but once she steps onto that stage, she's actually all I could see at times. There is something about her that keeps you watching, and I feel like out of all the members, this is the girl who possibly embodies the Idol Aura the best. I never expected to think that way, I simply thought 'oh, this girl is adorable' and nothing else. Instead, she's the member that's captivated me the most... of course she is! I feel like Aira's innocent nature is really interesting, too, and her cute friendship with Vivi is just so sweet. Of all the members, it seems likely that Aira has the 'little sister vibe' and will be loved and babied by all of the members, not just for her age, but because of her height, too. I feel like the fans will have this little sister image of her too, but I think everyone will also feel a strong sense of just how dazzling Aira truly is, as well as how independent she can be on stage. Aira stands out, and she is striking as an Idol. The moment I saw her first performance, I felt this sudden surge of surprise and wonder, and then I thought that she would make a perfect centre for LoveSo. I actually want to see Aira take on a centre roll with the group and show off her true power, because I feel that position would suit her best. I never expected to think or feel such a way about Aira, but it happened! She is truly a surprising member. Aira: small and cute, and full of power that we can't even fathom from the get-go. You need to see her performing to truly believe just how much of an idol she truly is. ... Guys, I think I may have an Oshi candidate. Fluent in Japanese and the groups resident Ikemen, Hayayan is the final member to be revealed as a part of LoveSo. As the owner of the 'Ghost Purple' colour, Hayayan matches her colour perfectly by being the 'ghost' friend who will mysteriously materialise out of nowhere for rehearsals and to go on delicious food escapades with her fellow members. She also helps Jash with translating song lyrics. Describing herself as adventurous, weird and mischievous, Hayayan became an idol in order to feel useful and to encourage people that they have a place in society, even though she herself feels that she has no special talent. A very supportive member, Hayayan gets on well with the others and is very open about not only herself, but the group in general. As a performer it's no lie that Hayayan is a little more reserved than the other girls, but there is a charm to how she holds herself on stage. She is trying her hardest, smiling brightly and delivering her best performance. A hard working member, she might just charm you with her perseverance on stage and her desire to encourage you as she stands on stage with her fellow members. I honestly love Hayayan. From the get-go, she was the member I was drawn to, and despite finding out more about the group and realising that my favourites have changed, I still feel that my true Oshi might be Hayayan. From how she looks to the way she interacts with members and showcases her personality, she's the member I want to watch the most. I look for her on the stage and can't help but smile during her performance, I feel so happy watching her perform. Though she feels she isn't talented or special, she's actually really wonderful to watch and I can't help but adore her more with every video I see that includes her. Hayayan is really adorable. Despite how much she seems to put herself down in videos, I admire her honesty and find her imperfections to be her strengths. She knows she isn't a perfect idol, but she wants to combat that in order to encourage other people that they can follow their dreams as well, regardless of their own setbacks. She's honest and open about not only herself, but the other members, and she isn't shy to call everyone out in a humorous way. In so many ways, Hayayan is funny, cute and admirable, and I really love that she is so comfortable around the others that she can say things without fear. She may not be the most confident of members, but that's okay - it's a part of Hayayan's charm and personality to be this way. If all members were so confident, the group might feel overwhelming, so to have someone like Hayayan brings balance to the group. Still, where she lacks confidence in her skills as an idol, she makes up for it in other ways, such as her endurance in becoming an idol and her candid manner in interviews and on-camera. She's open, and it's a trait I find myself valuing in idols. If we didn't have someone as honest as Hayayan in any given group, then we might feel a little bored. So, it's refreshing and funny, cute even, and it allows us to see just how well she gets on with the other members. I feel happy watching Hayayan and I want to support her even more, especially now I am getting a glimpse at what she is really like. Right next to Aira, Hayayan is Oshi material. I seriously feel like I want to support her until the end of time. The more I read or watch about LoveSo, the more addicted I become. Though there is still a small amount of material on the group on the wide web, I feel like I've come to know them a lot better than when I initially set out to create this post. At first, I had my own shallow expectations and insights on what the girls were like, how they might act and such, but after digging a little more, watching their performances and finding some interviews online I realised how much I had lost in my own translation of them. All of the girls are different to what I initially anticipated, but because I have digged and discovered, I realise now just how precious, fun and unique these girls are individually, and how they have created a balanced and endearing group. I am impressed by LoveSo as a whole right now, not only in how they present themselves but how they act individually and also in how they perform. They are entertaining and they make me smile, and I can feel the support I have for them growing further by the minute. LoveSo are incredible, and I can't describe just how happy I feel when watching them.I guess it's because they're idols, at the end of the day. They may be self-produced and they may be based in the Philippine's, but that idol aura is there, and it's dazzling. No matter what people might say about them, LoveSo are true idols. It's in their nature, and nothing can counter the true power of idols, regardless of age, ethnicity or place. Welcome to the world of LoveSo everyone. I hope you all become a part of the Sozaity that Aidoru Sozai have created, and I sincerely wish that you give them a chance and fall in love with their sparkling nature. Until the next post everyone. Thank you for reading, take care, stay happy and healthy and - of course - love your idols! "Mika is someone who is open, a girl who seems to want us to know every detail possible." Nah-uh. This line is just problematic. Sure, from time to time she reveals a piece of herself to us, but she is more guarded than open. She ensures that fans know what's up but I wouldn't go as far as to say "every detail possible". That being said, Mika is love and Mika is life. Thanks for pointing it out, I can easily change it. I'm still new to the group so I'm not as aware of them as others are. Soo... Are you sponsored by them or something? Nope. I just really like them right now. Aira is really cute, LET'S BE REAL!